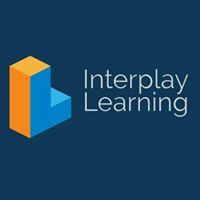 Interplay Learning develops online digital learning and testing products for students and professionals to build career skills and technical aptitude. Interplay's specialty is 3-D interactive life-like simulation which allows a learner to accelerate practical understanding and application. Interplay products can be found in education, government, career certification and industry. As Head of Art Production at Interplay Learning, Frank is responsible for producing high realism, high accuracy models of real world pieces of equipment for use in educational simulation products. In addition to this, Frank is responsible for implementing animations and rigs on our models when this is called for. In the past this has extended to highly complex hair rigs where it was necessary for him to develop a proprietary production pipeline to cope with the complexity of the models. Frank liaised directly with Subject Matter Experts employed by Interplay Learning to ensure that the work he produces is accurate to the last detail, and coordinates his own team of 3D artists. I cannot recommend Frank and PS1 highly enough - his level of expertise and professionalism are second to none. Frank's communication is exemplary, and I was never left in any doubt as to his delivery schedule. The quality of the work he produces is outstanding, and he uses his experience in the industry and more importantly an understanding of the overall project itself to minimise revisions, which saves us precious time and resources. He is creative in his approach to problems presented to him and is not afraid to innovate and develop new workflows if demanded by the needs of the project. Frank will be our go-to guy for any future rigging and modelling work that becomes necessary simply because professionals like Frank are incredibly hard to come by, and I'm thrilled that we found him when we did. Frank is the very definition of a safe pair of hands as far as modelling and rigging are concerned, and I look forward to working with him again and again in the future.